JTS (Xiamen) Sports Equipment Co., Ltd.
Dongguan Yisuoti Sporting Goods Co., Ltd. Step 2: We will make the proof and send to you in very short time, it is free of charge. If you are interested any items of our website please don&rsquo;t hesitate to contact us. We are looking forward to cooperating with you and also warmly welcome you to visit our factory for more discussions. 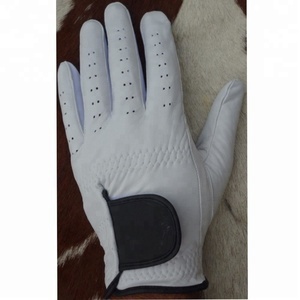 Xiamen Aegis Gloves Co., Ltd.
ELG Produly offer Performence pluse Sheep Skin Cabretta Leather Golf gloves. this Premium leather golf gloves was selected from the Finest Raw Material and uniquely treated to assure better performance round after round. Maximum Feel Consistent Fit and Lasting wear ability are features sought after by Discerning Golfers. Guangzhou Yisjoy Sports Glove Co., Ltd.
3.What is your time of making samples9 Usually we will tak e 10-15 days to make the samples. 4.How about the sample9 We could send you the samples but the samples are charged. 8.What is the location of your company9 Our company is located in the Beautiful city Xiamen, China. 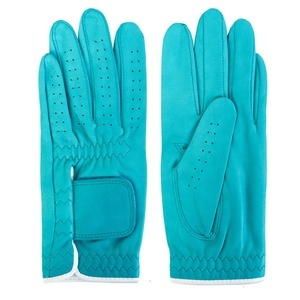 Specifications Golf Gloves Made of cabretta Leather, Cool Design & Fashionable. AARON TRADERS is specialized in all type of Gloves We largely focus on high quality, well design and timely delivery. For further details- Go thru our website, do write us or telephone on given numbers any time round the clock. Shenzhen Zento Sports Goods Co., Ltd.
Guangzhou HBG Sports Goods Manufacturing Co., Ltd.
B&G Sports Goods Co., Ltd. Product details: Material. : Artificial Leather, Fastening Closure . Prices are negotiable. 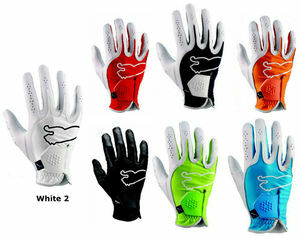 Alibaba.com offers 7,703 colored golf gloves products. About 27% of these are golf gloves, 2% are safety gloves, and 1% are other golf products. A wide variety of colored golf gloves options are available to you, such as bag, home textile, and automotive. You can also choose from abrasion-resistant, waterproof, and anti-mildew. As well as from pu, pvc, and metal. And whether colored golf gloves is embossed, printed, or glitter. 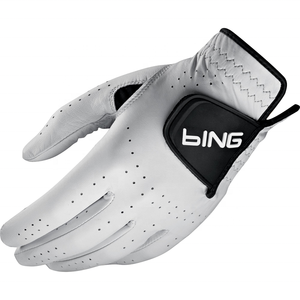 There are 7,654 colored golf gloves suppliers, mainly located in Asia. The top supplying countries are China (Mainland), Pakistan, and Indonesia, which supply 80%, 16%, and 3% of colored golf gloves respectively. Colored golf gloves products are most popular in North America, Western Europe, and Eastern Europe. You can ensure product safety by selecting from certified suppliers, including 594 with Other, 324 with ISO14001, and 274 with ISO9001 certification.